Castur entered the trance that always seemed to come when his services were needed. too much lost blood. damage too deep. it was pointless to try.he laid out a blanket and carefully aranged Lar'vios to minimize dicomfort. "Be vigilant. there is something terrible still close." "lar'vios, I can ease your pain and give you your time. if there are any rites you wish, I can perform them. Al Akshir seque Oclus, glaem-Vanero." Lar’vois made a deep, hacking cough; trails of blood ran down the sides of his mouth as the light ever so slowly crept from his form, slowly taking on a deathly pallor. He weakly reached to his side, trying to grasp the sack he had dropped from before. Within the damp and darkness of the tunnels the group had just passed through, not all seemed to be dead and empty, not anymore. Within each corpse an unnatural and sickly green glow entered into their lifeless eyes. Slowly, they push themselves off the ground, out of the rubble, and grasped their old weapons. As more of their brothers and sisters rose from their graves the undead shambled through the narrow tunnel, their actions directed by an unseen hand. "Please…" Lar’vois said again as he brought the sack up and tried to hand it to Castur. The strange bag actually seemed to glow with an outlandish blue light from within. "…Castur… all of you… please, you must not let this device fall into his hands. If it does… I…I don’t know what might happen. But I know it will be nothing good." "He *cough* He’s a monster..." He continued, his voice becoming fearful as the memories came back. "We tried to fight him and his minions, but he picked us off one by one... he tore apart Ker'Cairdon with foul magic, he was so fast he danced circles around Jenel, a-and then he picked up Greivax and... and I swear I think he sucked out his soul!" Lar'vois began trying calm himself as he attempted to banish the memories of that horrifying battle. "I know I won't make it... but please... just keep this out his grasp... don't let him do any harm with it.... and...." Lar'vois breath slowly became labored as the life in his eyes slowly faded "I'll...... rest..... easy..."
And then there was nothing. The Photos body remained limp on the blanket, eyes staring blankly into nothingness. Arcold had drawn both of his weapons, having put away the illuminator since Kor’veras had generously provided a light to the room. The Vrin looked on edge. "Ready yourselves! There’s a foul stench in the air…"
And foul it was. The sound of rushing footsteps, moans and screeches rapidly began to close in on the room, and soon their forms where revealed. They were familiar, many of them where the previous bandit corpses the group had passed by previously, while others who emerged from other entrances and crevasses where less so. No vestige of life was in their glowing eyes, all that remained was the stripped and shattered fragments of a soul. Their eager advanced became even more furious when they spotted still living, warm, flesh. Yuta sighed, Undead? Of all things for me to encounter my first time underground, it had to be zombies. Without a second thought he pulled a vial of oil with a cloth in it from his satchel and held it to his ball of light, following up by tossing it at the monstrosities, the glass exploding and setting the floor and undead on fire. Castur picked up the object and quickly stowed it into his bag. when the things came, he did not speak a word. he did not hesitate; he charged through the fire and rammed into the pack, knocking several down and trampling them. next, he drew his sword/club, shattering another two corpses. then they surrounded him, attacking with knives, stones, and fists. he ignored the scratches, and began meticulously crushing each one that moved in front of him. Vor'kera, who was right in the midst of the now-zombified corpses, knocked the legs out from beneath the closest one with the lower end of his staff. He retreated back a distance and depressed a rune embedded on the staff. With a slight blue glow, the head of the staff began to resonate; it didn't look like much but the staff's blades were vibrating such that their cutting power was exponentially increased. He lunged forward, bringing the head up at an angle; he carved the first zombie in angled halves. He brought the staff around again and decapitated another, slamming the bladed head down into the body to finish the job. He stabbed his staff into another and yanked it vertically into the zombie's head, and it fell dead. Another had it's legs cut off at the knees followed by it's arms being removed. It sat squirming on the floor face first, no longer a noticeable threat. "I require aid!" Vor'kera exclaimed, noticing that he was starting to get overwhelmed. The horde continued to charge forth towards the group, only now a small part of that horde was on fire. Zombie after zombie fell before Castur, their breaking bodies making a satisfying crunch as bones snapped and collapsed upon themselves. But no matter how many where slain, the fiends just kept crawling out of the woodwork. Arcold maneuvered as he fought, trying to keep the undead in front of him, when facing an enemy who relied on numbers, he needed to make sure they couldn’t take full advantage of it by somehow getting behind him or flanking. Something that Vor’kera had a minor lapse in. Arcold cursed under his breath, knowing the Photos was going to be quiet literally eaten alive if someone didn’t help him. Castur, seemed to be busy with the horde around him, and everyone else was fighting for their lives. Arcold lifted his axe above him, activating his god given abilities as one of their chosen warriors. The axe began to glow with an aurora of color shifting flames that changed quickly from red, purple, to green. The undead around him stalled for a moment at the display but a moment only, fear and self preservation was something beyond the pathetic creatures. Without a second more of hesitation they lunged at him, to which Arcold responded with a nice, clean, swipe of god blessed fury. One swing unleashed torrents of dark flames, disintegrating multiple undead in front of him. His sword had taken on similar blessed features as his axe, to which he unleashed a flurry of strikes from both weapons as he slowly hacked a path to Vor’kera. Breaking through the thick horde between them Arcold took position behind Vor, watching his back while letting the Photos watch his. The undead where relentless however, attacking in waves between seconds long intervals. Gunshots began to ring through the air as some of the undead apparently had enough memories of their past lives to use their more complex weapons. They where clusmy shots, but harmful all the same. Hurgigus charged into the fray, swinging his tail and flail wildly. His shouts of "BRING IT ON!" and "HERE! HAVE SOME MORE!" rang throughout the corridor. As he continued swinging about, undead began hurtling towards the walls... and towards the other adventurers. "Oops! Sorry about that, Arcold!" 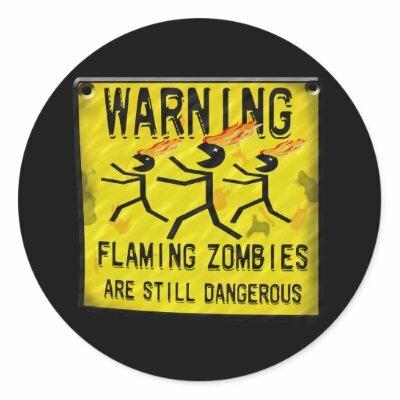 he yelled after accidentally lobbing a flaming zombie towards him. One could wonder how Hurgigus hadn't been surrounded or set aflame by then. However, it seemed as if even more were coming. Thinking surprisingly quickly, Hurgigus angled himself so as almost to make himself a living, counterattacking barricade. by the time he had crushed thirty skulls, Castur was completely covered in undead up to the neck: it just did not matter. the knives and arrows glanced off of his hide, though his shell was imbedded with bullets. he paused a moment to survey the battlefield. and that was his mistake: one of the zombies managed to come from above and drop on his face. he reached up to grasp it, but this one was a small spidery thing, quick and limber. with eye stabbing talons. the situation had just gotten tedious. he fell face forward, pinning it to the ground. then he bit it's head off. it was more gooey than crunchy. but now he was on the ground, with two dozen corpses on top of him. "Cant get up, but won't end! carry on! "